CLINICAL-RESEARCH POST-DOCTORAL POSITION AT THE UNIVERSITY OF PITTSBURGH, SCHOOL OF MEDICINE, DEPARTMENT OF PSYCHIATRY: This is a broad-span, multifaceted opportunity to study the life-long impact of very early-onset depressive disorders on subsequent mental health, psychosocial functioning, and cardiovascular status in families in both USA and overseas cohorts. A major focus is on the role of maladaptive emotion regulation and its relationship to psychophysiology in the onset and maintenance of these disorders. Our newest project with young and middle aged adults also examines how autonomic nervous system processes and decision making tendencies contribute to long-term affect regulatory profiles by implementing a neuro-economic approach to decision making. Post-doc training opportunities include attendance in Departmental seminars, learning about cardiac psychophysiology (autonomic nervous system processes) and its assessment, and improving skills relevant to producing scientific articles and grant applications. The successful applicant will be expected to play an active and leading role in data analyses and publications. He/she also will be responsible for coordinating psychiatric diagnostic assessments, conducting some research clinical interviews with adults, and arriving at DSM diagnoses. If appropriate, he/she also can receive clinical supervision that can be used toward license certification. Duties may include additional tasks and span multiple projects. Requirements are: doctorate in clinical psychology or related field, 3+ years of clinical exposure including experience with standardized diagnostic assessment procedures, preferably in psychiatric settings with adults; experience in an academic clinical research setting; some familiarity with psychophysiology; and familiarity with the clinical and experimental literature on depression. Excellent communication, problem-solving, time management, and writing skills are essential. A multi-year commitment is expected. Qualified candidates (USA citizen, green card holder or work permit eligible) may submit their CV and three (3) letters of recommendation via email: to kovacs@pitt.edu or by mail to Dr. Maria Kovacs, Childhood Depression Research Program, 3811 O’Hara Street, Pittsburgh, PA 15213. Applicants will be considered until the position is filled. 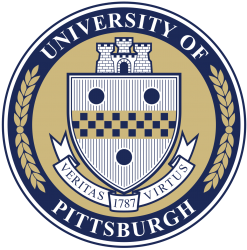 The University of Pittsburgh is an Affirmative-Action and Equal Opportunity employer.